A boring, uneventful day in Arthur's chambers. 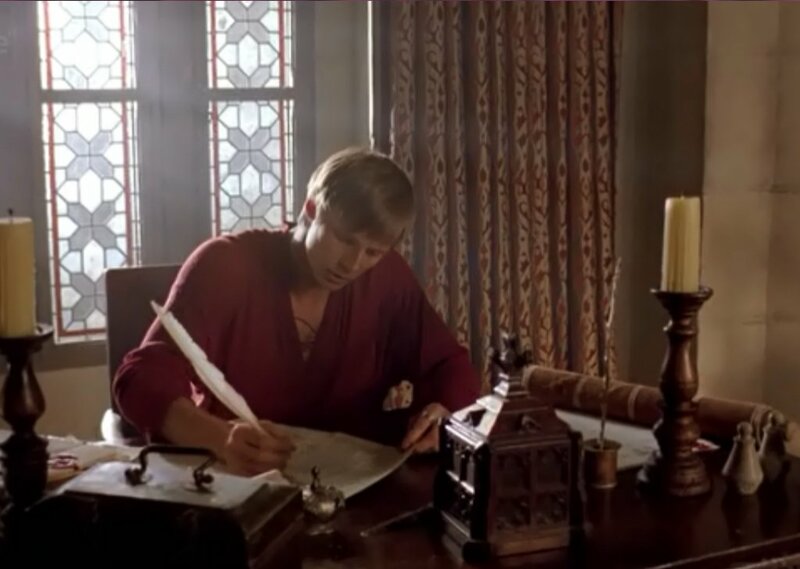 Arthur's got plenty of boring Kingly work to do - charters to sign, speeches to write etc, whilst Merlin is lumped with sorting out Arthur's clothes that have been freshly washed (by Merlin), and all the other mundane tasks Arthur has lumped him with. The truth is, Arthur just likes Merlin's company and the two settle down to working through their respective chores quietly, whilst the daily life in the castle of Camelot carries on peacefully and normally around them. Comments for "King Arthur's Chambers"
License details for "King Arthur's Chambers"